(Tetum) Three farmer associations from Baucau and Liquisa districts are the first to be officially registered as Commercial Seed Producers under the National Seed System for Released Varieties (NSSRV). The associations received their registration certificates from the Ministry of Agriculture and Fisheries (MAF) in mid-July. This permits them to produce and sell commercial seed in accordance with MAF’s Guidelines and, subject to spot checks by MAF Seed Department, sell it as “truthfully labeled” commercial seed to other farmers, NGOs, commercial seed traders and the Timor-Leste Government. MAF National Director of Agriculture and Holticulture, Gil Rangel da Cruz, handed over Commercial Seed Producers certificates to three farmer associations from Liquica and Baucau. At the presentation event, Seeds of Life (SoL) Team Leader John Dalton said this would improve farmers’ seed security and reduce their dependence on annual seed imports from other countries, and help the Government achieve seed sovereignty. “Now that these three farmer associations are registered commercial seed producers their commercial seed is available for purchase and buyers can be assured of its good quality. 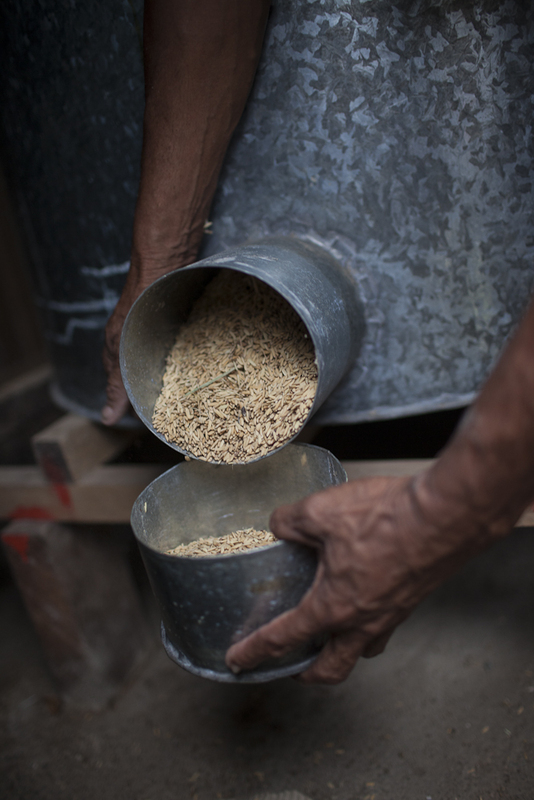 “The price of commercial seed produced in Timor-Leste is less than one third that of imported seed and is much better quality because MAF can guarantee the quality control,” he said. The three farmer associations, Naroman from Liquisa district, and Fitun Leste and Raimean from Baucau district, have existed for more than two years and each produced an average of three tons of maize this year. Having registered Commercial Seed Producers is the last of four key parts of the National Seed System, which was officially launched by MAF in June following the promulgation of the NSSRV Guidelines. Speaking at the registration event, MAF Vice Minister Marcus da Cruz said that the development of the NSSRV is important to protect farmers. SoL Team Leader John Dalton said the National Seed System is the service that MAF provides to farmers. “The essence of the service is quality control so that farmers are assured that the seed of improved varieties that they get through this National Seed System is good quality,” he said.